With just 17 (18 if you head into the city tonight) shopping days until Christmas, it’s time check that you have everyone covered when it comes to gifts. there is nothing more awkward than forgetting someone in a group… “I left it at home”… “The postie still has it” . Here, I’ve compiled a list of beautiful gifts for everyone. I’ve left kids out because I’m sure they can give you a better list of suggestions. Enjoy! Mecca or Sephora gift card. Generally, I hating giving a gift card. But when it comes to beauty we all like something different. There are so many products it’s hard to know someone will love what you do. To make a gift card more personal, put it into a beautiful makeup bag or with something everyone needs like a lip balm or hand cream. I don’t know anyone who doesn’t love a good face mask. 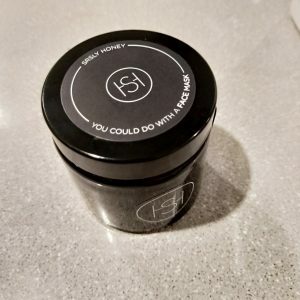 The Srsly honey mask is beautiful, all natural and contains only 5 ingredients. The fact that you could consume these ingredients says something about how good the mask is for the skin. It’s designed to control breakouts and give your complexion a boost. Hydration, clarification and relaxation. This is a stunning limited edition product by Anastasia Beverly Hills. It’s a beautiful universal gold hue and is presented in gorgeous holiday packaging. There is something so beautiful about putting effort into the taste and appearance of a drink. You need the right tools for this though. Why not pick out a well-made kit for the cocktail lover in your life? My favourite is the copper kit! I love to gift candles. There is the catch that we don’t all like the same scent though. If playing it safe, stick to a very soft vanilla. If you know what the person likes i.e. sweet, fruity or even their favourite perfume scent, a candle can be such a thoughtful gift. This is an extra luxe gift for anyone who loves to bake. They are more than just a stand mixer with heaps of attachments available including mincers, juicers and pasta rollers. There are so many colours to choose from and honestly, no one with one seems to complain. Perfect if you don’t mind heights. 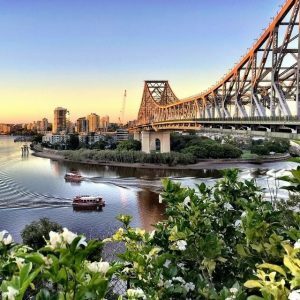 A beautiful 360 view of our beautiful Brisbane City and surrounds and the perfect photo op. There are even NYE climbs available! 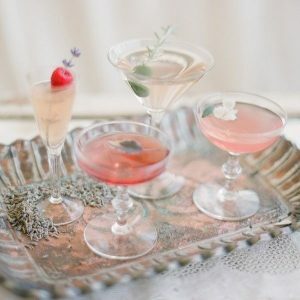 Learn how to make the best cocktails for you and your friends. These classes are taught by in house mixologist and cocktail connoisseur, you’ll learn how to make traditional cocktails. Classes are for a minimum of 10 people. Perfect for a Christmas or birthday party! This is an amazing experience. With the world, as busy at it is today, we need to unwind and have some quiet time. Float tanks are a kind of sensory deprivation and honestly, I don’t think I’ve experienced anything more calming. My mind and body were so relaxed after a 60-minute session. I recommend a 3 pack because the first time you are learning to relax and feel safe in the water. These are some of the most beautiful books I’ve ever read, not to mention how gorgeous they look. 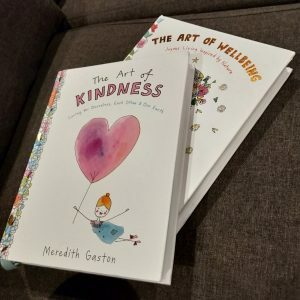 The books are filled with inspiration, recipes, meditations, quotes and more. They’re so well written and just make you feel great. This is more than just a fitness tracker; it also tracks your wellness. It monitors your sleep, stress levels and body battery (energy) as well as activity, steps, heart rate etc. One of the best things is that its water proof. I looked for a long time before I purchased and am so happy with my choice.